I recently wrapped up a southbound (SOBO) hike of the Georgia section of the Appalachian Trail. As you may recall, I have been planning this hike with my brother and my best friend for well over a year. Through the course of shake down hikes, the Appalachian Trail Reddit community, Pox and Puss, and of course everyone here at Appalachian Trials I was extremely prepared for the hike (or so I thought). Our hike had us putting in at Deep Gap, North Carolina and hiking down to the southern terminus on Springer Mountain and onto Amicalola Falls State Park via the approach trail (tip skip the approach trail, its a useless 8.8 miles). Our original plan was to hike this section (around 100 miles) in a full 9 days, starting out on a Sunday and hiking out on the follow Monday. Because we stayed flexible the entire trip and listened to our bodies we were able to hike out a day earlier by pushing a few extra miles on certain days. I am not going to give you a play by play of each day we spent on the trail, instead I will point you to my brother Derek’s website where he provided a a daily recount of the trip along with accompanying videos of our journey. If you want to understand what each day was like for us on the trail, then check out his website. Instead, I will share some of the highlights of the trip. It goes without saying that when you are standing on top of a mountain the chances are good that you will be impressed with what you see. The Georgia section of the Appalachian Trail did not disappoint. While not every summit had the postcard style views, there were still plenty. If it was the view at the end of the blue blazed trail atop Powell Mountain or an open rock face allowing us to dry out over lunch on Cowrock Mountain (pictured to the right) it was all absolutely gorgeous. As we started out my mindset was to lookup at a view and keep hiking to finish the miles for the day. Luckily my brother and best friend forced me to take a break at each view and enjoy the beauty. If you are out hiking, do the same. On day 3 of our hike we were coming down Tray Mountain and as the trail switched back I rolled my ankle pretty bad. After pushing on down the mountain we arrived at our camp site around 3:45 and were faced with the decision of moving on or ending the day. 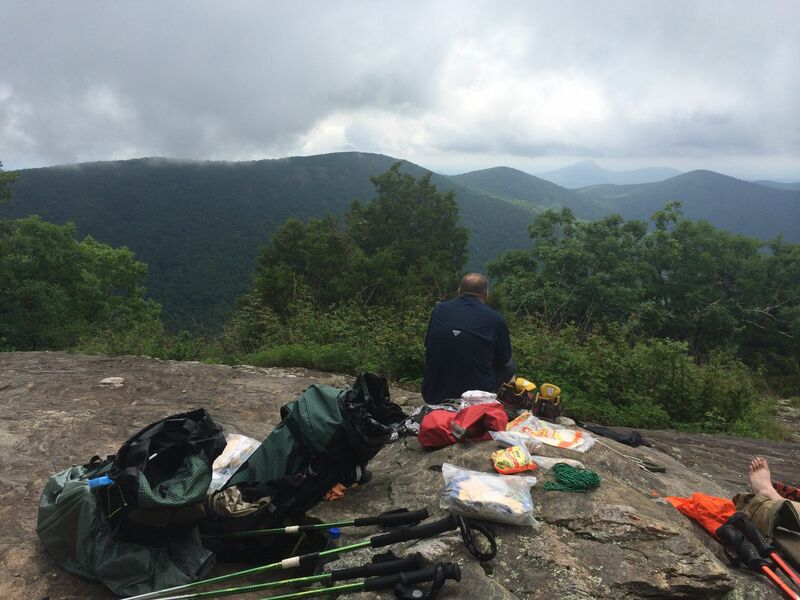 After reviewing the AT Guide, we learned we could hike another 4 miles and spend the night in Hiawassee, a favorite hiker town for thru-hikers. After some discussion and some pretty loud thunder in the distant we decided to push on to Unicoi Gap and spend the night at the Budget Inn. This decision turned out to be a great one! 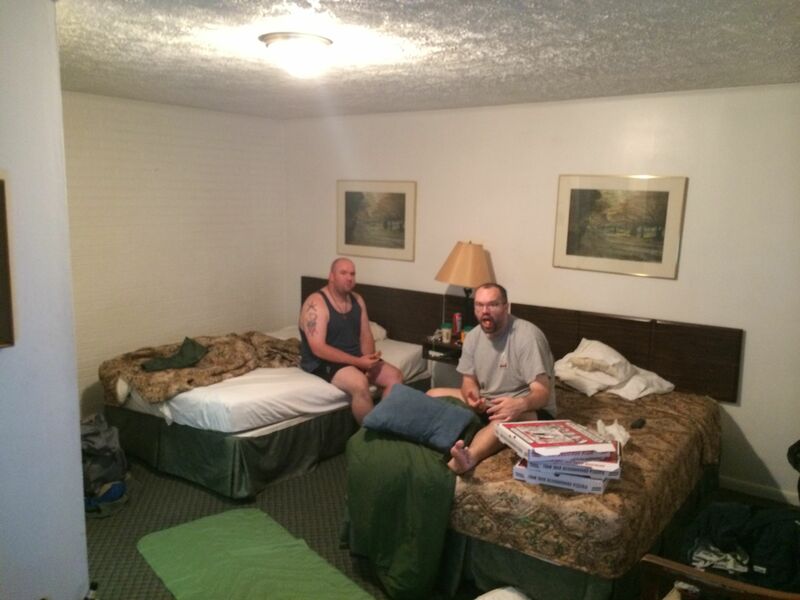 Not only did we get to partake in some awesome Pizza, I was able to rest up my ankle. Many have stated that section hikers cannot understand how great it is to spend a night in town, but I totally disagree. After 3 days out, a night at a (crappy) hotel was a great boost of our energy. If you are section hiking and time and money allow it I would highly recommend staying at this hiker favorite! Being out in the woods, you expect to run into some animals. This is normal, but I was unprepared for exactly how awesome, unnerving, and down right fun the feeling could be. On our 8 days, we saw snakes, turkeys, deer, orange salamander, a black salamander, and a black bear. And that was just in one day! The feeling I felt when we came upon a rattle snake (you can hear his rattle in this video) was terrifying. 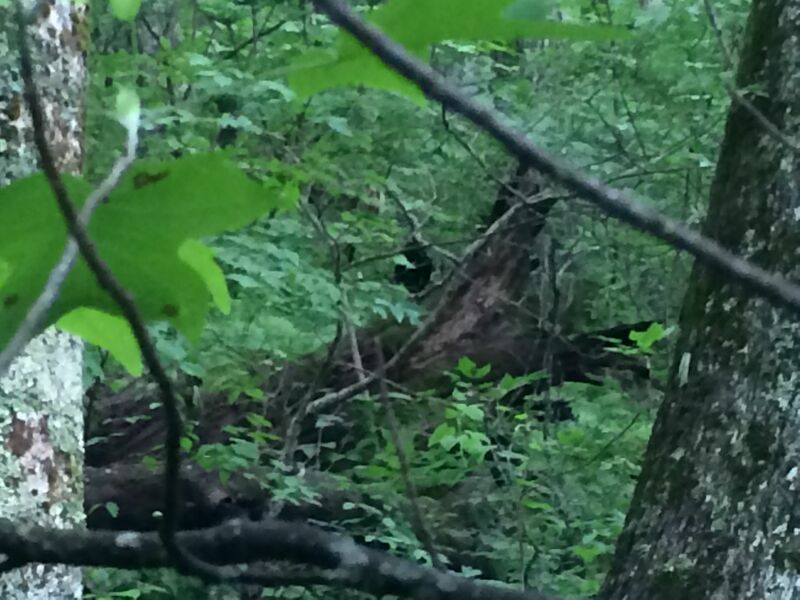 The desire to find momma bear when we saw her two cubs was almost overwhelming. And the “what the hell is that” feeling of seeing a orange salamander is pretty awesome. It does not take a month, 3 months, or 6 months to be awed by the wildlife on the trail. There are more things to share and they will come in other blog post, but I wanted to be sure to share some highlights of the hike. The Georgia section of the Appalachian Trail taught me that my love for the AT is strong. It taught me I am not a thru-hiker, but that I am a section hiker. Below is a video wrap-up of the hike from our pictures. You can view the full album online of my pictures here. Great post! That Rattler is terrifying! I have a question though, did you find that you being a section hiker kind of took away from the experience a bit? I have no choice but to section hike and I’m usually an all or nothing type of girl. Thanks! Thanks for the insights, we were debating on the approach trail, but plan to skip it now. I plan to hike north from Springer through the Georgia section this fall, in your opinion would the trail be manageable for a young, healthy dog? Thank you my friend, I’ve done a few sections, but I’m definitely not a thru hiker. I’m looking for a hike out of Tennessee into NC across Max Patch for about a 40 mile hike with my wife who’s novice. Any suggestions? Hi! I was originally supposed to start a thru-hike this year with a friend, but started to realize its just not financially in the cards right now (along with other obstacles). I still want to someday, but for now, I think I am content with the idea of starting to section hike instead. I still want the linear feeling of going from one end to the other, so I am thinking of trying to accomplish it state by state, or 100 miles at a time, however it might work out for me at any given interval. 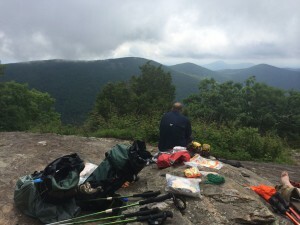 I am planning to do Georgia this year, probably in the fall (a great advantage of section hiking is having more control of the ‘when’, right? I don’t love hot hot weather, so am trying to avoid hiking in the south in the summer, etc. I noticed this post was from a few years ago. Have you had opportunity to do any more sections since then? Thank you, and happy hiking!! Hello Hello! I stumbled across this blog while trying to plan out my own section hike northbound from Springer Mountain. I am currently planning transportation since we are going to be ending up in the Middle of nowhere on Hwy 23/Murphy Road in North Carolina. What did you do for transportation as far as navigating from Springer Mountain back up to Deep Gap? Please and thanks very much and keep hiking ..